CHAMPAIGN, Ill. — The separation of powers is a key concept in the U.S. Constitution, but is it still relevant? What is its future? And how does it relate to ongoing controversies about the power of the presidency? Those will be among the questions discussed in a keynote address and roundtable Nov. 29 at the University of Illinois, part of this year’s Richard G. & Carole J. Cline Symposium. 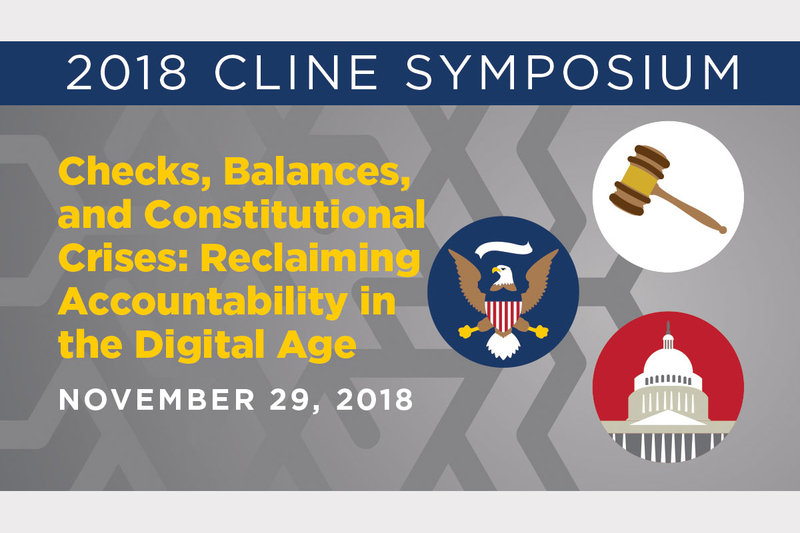 University of Minnesota law professor Heidi Kitrosser, the author of a book on the subject, will deliver the keynote, “Checks, Balances and Constitutional Crises: Reclaiming Accountability in the Digital Age,” at 7:30 p.m. in the Ballroom of the Alice Campbell Alumni Center, 601 S. Lincoln Ave., Urbana. Preceding that will be an afternoon roundtable discussion with Kitrosser and Illinois faculty members Vikram Amar, the dean of the College of Law; Brian Gaines, a professor of political science; Arden Rowell, a professor of law; and Alicia Uribe-McGuire, a professor of political science. Scott Althaus, the director of the Cline Center for Advanced Social Research, will moderate. The roundtable will be at 3 p.m. in Room 314 of the Illini Union, 1401 W. Green St., Urbana. Kitrosser is the Robins, Kaplan, Miller and Ciresi Professor of Law at Minnesota. She is an expert on the constitutional law of federal secrecy, separation of powers and free speech. Her 2015 book “Reclaiming Accountability: Transparency, Executive Power and the U.S. Constitution” won the Roy C. Palmer Civil Liberties Prize. Kitrosser also has been a Guggenheim Fellow, a clerk in the federal court system and a private-sector attorney, holding a law degree from Yale University. 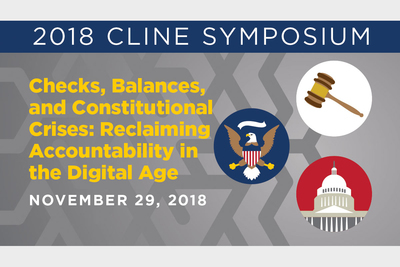 The 2018 Cline Symposium, titled “Democracy, the Separation of Powers and the Future of American Constitutionalism,” is the 24th such event sponsored by the Cline Center, going back to 1995. Previous keynote speakers have included notable academics, authors, journalists and politicians. Editor’s note: For additional information, contact Dan Shalmon at 217-300-3233; email shalmon2@illinois.edu. Also note that Daniel Gallington, an adjunct professor of law at Illinois, will be part of the roundtable. His name was added following the original posting of this release.